The Pacific Ocean, the world’s largest body of water, has influenced the economies and cultures of coastal nations for millions of years, and the University of Oregon, only about an hour’s drive from the coastline, is no exception. That connection between the university and the sea will be on display during the annual Cinema Pacific Film Festival in Eugene April 27 through May 3. The festival features films and demonstrations that capture the life and spirit of countries along the Pacific. This year will feature new film productions and live performances, as well as some familiar faces. Kyle Steinbach, who graduated from the UO in 2011, will debut his feature-length independent film, “Bad Exorcists.” A horror-comedy of sorts, his film tells the story of a few high school students competing in a horror film contest who manage to possess their lead actress with an actual demon. Steinbach included several former Ducks in his cast and crew, and he even makes a cameo himself. While attending the UO, Steinbach participated in the Adrenaline Film Project, one of the much-anticipated centerpieces of the festival. The project is an intense, 72-hour “movie-making blitz,” in which 12 filmmaker teams — mentored by Hollywood professionals — compete to pitch, shoot and edit the best short movie. “Bad Exorcists” is set to premier before the Adrenaline project screenings on April 27. Also, Master Hu Jianqiang, widely known as the highest-ranking Wushu master in the West, will visit the festival to perform an exhibition, “Masters of Chinese Martial Arts,” May 3. Another centerpiece of Cinema Pacific is the annual Fringe Festival, which takes place May 2 at the Jordan Schnitzer Museum of Art. 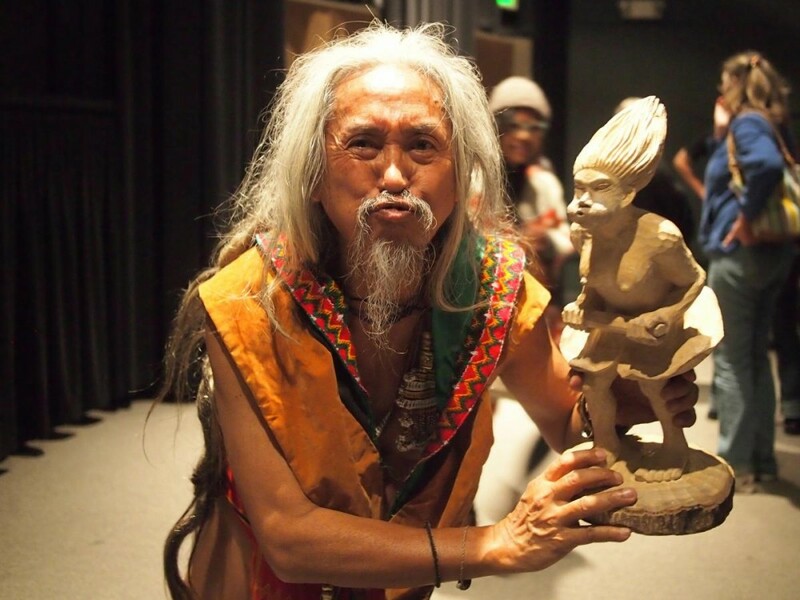 The festival-within-a-festival will include a live performance by the “father of the new Filipino cinema,” Kidlat Tahimik. A few film screenings will, somewhat literally, hit close to home for Oregonians: two documentaries, titled “Mending the Line” and “A River Between Us,” focus on a World War II veteran turned legendary Umpqua River fly fisherman and a historic call to action from former Oregon state legislator Jason Atkinson to restore the Klamath River. Additionally, UO sociology professor Michael Dreiling will preview his film, still a work-in-progress, about national disarmament in Costa Rica, “A Bold Peace.” Another UO professor, journalism instructor Daniel Miller, will showcase his work on two short films about documentary filmmaker James Blue. The Cinema Pacific Film Festival bridges the divide between the many coasts of the Pacific Ocean. Audiences at the UO and throughout the Eugene community are invited to attend all events. Ticket prices, complete descriptions of festival films, show times and locations are available here.